Green Guard – Tri-Plex Techincal Services, Ltd.
A cutting edge encapsulation product that contains anti stain, anti-soiling properties that neutralize alkalinity residues and limits wicking to carpet. 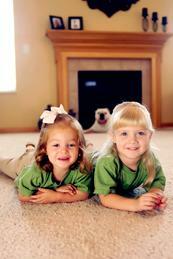 Simply spray on carpet or your upholstery to prevent stains and the browning or yellowing of your fabrics. This product contains no preservatives since it is a Safer Choice certified product. If you mix Green Guard with tap water, only mix enough to use for 2-3 days. Local tap water contains organisms that will grow and form a white film or clog your sprayer if left for more than a few days.